The holidays are right around the corner and before you know it, residents living in Glendale CA apartments will be hosting holiday parties and festivities. Being the host of the party in Glendale is always a great time, but you have to be prepared and ready to make your home cozy, comfortable, and the ideal place to go for a holiday gathering. For some of us, preparing for the holidays is going to be a lot easier than it is for others. Some people have a knack for holiday decorating, cooking, cleaning, and all of the other things that go along with this season. Others need more of a roadmap to help get them where they need to be so they can feel confident and happy about the upcoming holiday festivities being hosted in their home. If you typically struggle with getting ready for the holidays, just know that you aren’t alone. Many of us find it difficult to keep organized and stay on track. But you can do it and if you use the tips we’re sharing below, you’ll have no trouble getting ready for the upcoming holiday season that will be here before you know i/t. With the holidays looming right around the corner, it’s time to begin stocking up on certain items so that you have lots of essentials on hand. You never know when guests are going to have to spend time with you at your house during the holiday season, and you may even have a surprise visitor or two that you certainly didn’t expect. By having the essentials stocked up at your home like lotion, conditioner, hand soap, towels, toilet paper, toothpaste and other toiletries and accessories, you will be prepared in the event that somebody needs to spend time with you over the holiday season that you typically wouldn’t expect. Some of you may not normally host overnight guests since all of your family is local. If that’s the case, you can stock up on other products like additional food, paper products, plastic knives and forks, desserts, and other goodies that people might enjoy if they were to pop by to wish you a Merry Christmas, Happy Hanukkah, or Happy Holidays. So take a moment to think about your friends and neighbors and how your holiday typically goes, and remember to stock up on the essentials accordingly because they’re definitely good to have on hand. Some of us have a tendency to wait until the very last minute to begin decorating our home. This is the wrong approach if you want your home to look festive during the holiday season. In fact, you should do the exact opposite and try not to overwhelm yourself early in the holiday season so you have plenty of time to begin decorating your home to make it look beautiful, festive, and filled with holiday cheer. Because when you think about it, you’ll know that if you wait until the very last minute to begin decorating your house, you are going to have so many other things to do that it’s going to feel like a huge burden on your shoulders. It’s going to feel so unmanageable that you’ll feel too much stress and overwhelm. Obviously, everyone would prefer to avoid being overwhelmed and stressed out during the holidays as much as possible. So, if you like to put up typical fall decor each year, do it very early in the season. This way when Thanksgiving or Christmas rolls around – or whatever other holiday you might celebrate – you’ll only have to put on a few finishing touches because the majority of your fall decor will already be up and in place. So definitely make your home look festive during the holidays. And try not to hold back and wait until the last minute. Otherwise your holiday season could be a serious disaster and a major epic fail. None of us wants that, right? Cleaning your house and decluttering the mess that seems to accumulate out of nowhere is always a good idea. This is especially true during the holiday season because many people are going to be bringing new items home in the form of presents and other gifts. There’s no sense completely decorating your home from top to bottom if you have a major clutter problem that needs to be cleared up quickly. Instead of ignoring this issue forever, it’s time to get rid of the excess junk that is taking up space in your home to free it for other new and interesting things that you might receive over the holidays. 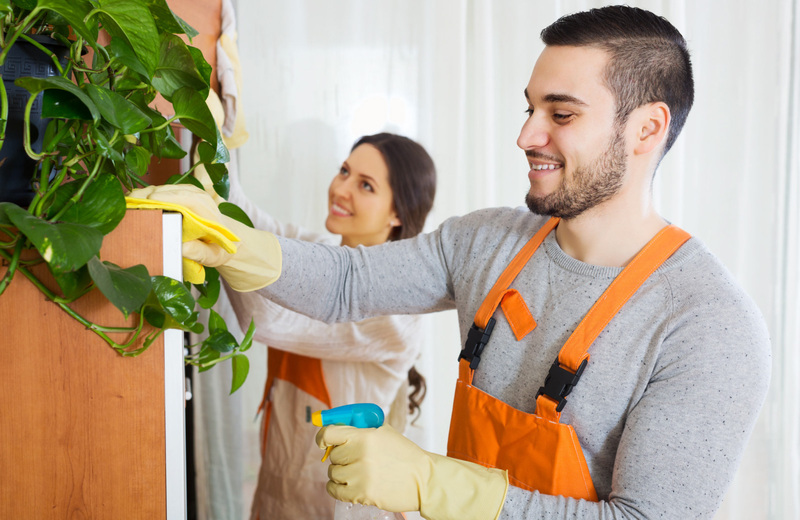 Besides decluttering, giving your home a thorough cleaning this time of year is definitely going to be a good idea. Many of us have a tendency to ignore or outright forget about certain spaces in our home that never get cleaned. It’s time to clean those spaces and give your place a thorough scrubbing from top to bottom. The areas people typically tend to miss when cleaning their home include outdoor spaces, light fixtures, windows, closets, and underneath dressers, bookshelves, beds, and other hard-to-reach places. So, a few things to consider doing before the holidays kick into gear is take a can of paint and touch up spots on the walls, have a professional company clean your carpets, do a deep clean in your kitchen, wash all of your bedsheets, curtains, and windows and before long your home is going to look absolutely immaculate and amazing in record time.